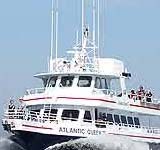 Land a striped bass or mackerel from your own boat. Fish for mackerel on the tournament vessel, Atlantic Queen. Atlantic Mackerel-These fish are enjoyable to catch. Schools of mackerel arrive in our region in early June, have a maximum age of about 20 years and can grow to as large as 7 pounds. Anglers compete for the heaviest mackerel. Striped Bass-A very challenging catch. Striped bass migrate to our waters in the summer months and catches are highly regulated. The minimum length is 28” and only 2 fish can be taken; if 40” or more, only 1 can be taken. This is a catch and release only competition and anglers compete by length & girth with tournament tapes & photos. The angler is required to practice ethical catch and release procedures. For more information on catch and release procedures read this flyer. When the competition ends, the fun begins. 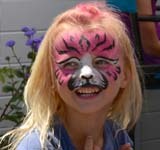 The Dock Party is full of activities, music, lunch, face painting, and plenty of entertainment. And let’s not forget the Trophies and Awards Ceremony. Six towering trophies in each category await the anglers catching the longest Striped Bass and the heaviest Mackerel. 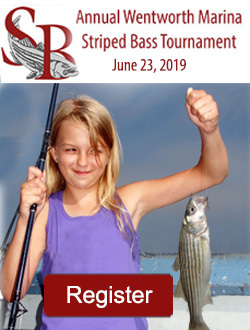 The Striped Bass Tournament is more than just competition and fun. We encourage young anglers to develop an understanding for the sport of fishing and the natural resources it depends upon. 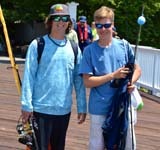 Partnering with the New Hampshire Coastal Conservation Association (CCANH) our anglers learn the rules and regulations of fishing and become stewards of these resources. All participants become members of the CCANH..